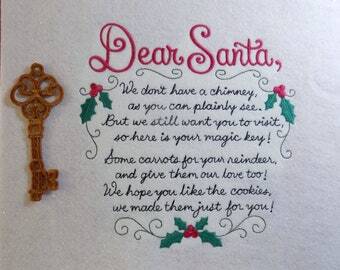 Custom Key Fobs -- Purse, Luggage, Backpack Charms -- great Stocking Stuffers, Ornaments & giftable Gift Tags! Great Stocking Stuffers and giftable Gift Tags too! 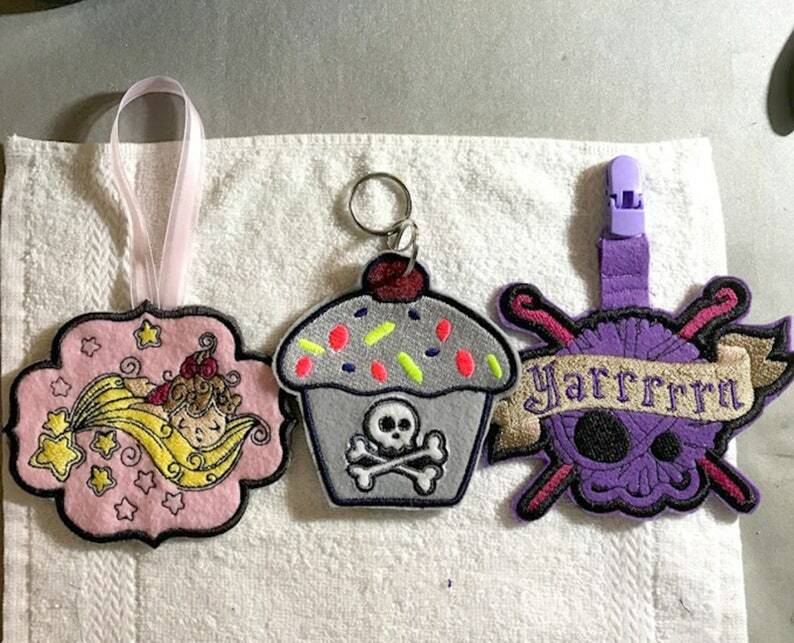 Custom made key fobs -- they also make great purse, luggage and backpack charms, as well as playful coat zipper pulls! They work great attached to strollers to occupy little fingers too. Anywhere you can use or hang a key ring, you can use a fob. Remove the key ring and replace it with an ornament hanger and they look even look great on Christmas trees -- swap that ornament hanger for a long flat ribbon and you have a really unique bookmark! There are many styles of fobs -- snap tabs with round rings or lobster clasp, built-in rings with round rings or lobster claps, you can even have them on a lanyard or a bib clip if you like! TWO SIZES -- small, 3-4.5 inches in height (height varies by design) and -- large, 4.5-7 inches in height (height varies by design). Fobs are made from heavy duty felt, flannel, denim and/or canvas. Each is sealed off with a coordinating backing to hide the backside of the design stitching. Hardware applicable to your fob -- ring or lobster clasp, ribbon, lanyard, etc. is included with the fob. 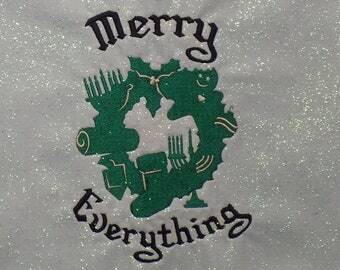 Your order will be shipped to you in an organza gift bag inside a heavy duty mailer via USPS first class mail. I'll happily wrap your item in tissue & include a handwritten note for free, just let me know. Fancy gift wrap with cards & bows is available too! 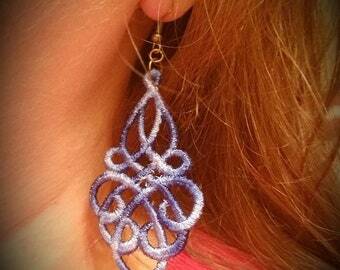 Embroidered "Knot" Earrings -- great Valentine's & Mother's Day gifts! 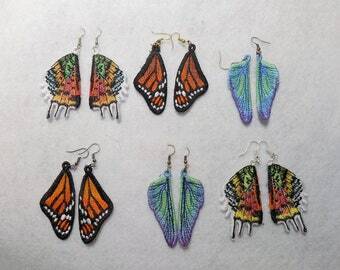 Embroidered "Wing" Earrings -- great Valentine's, Mother's Day & Birthday Gifts! Love my zombies, and I'm sure the people they're headed for are gonna love them, too. They're adorable and there are so many colors and patterns, I'm not sure I can pick just one favorite! They came packed really well, and arrived fast. <3 them! This was purchased as a gift. It was crafted and shipped very quickly and the recipient loved it. Absolutely beautiful! Craftsman ship is professional and attention is paid to every detail. Holds my Kindle Fire 8, even in its large leather case. Love it! Pay safely and securely using Etsy checkout. You can pay via PayPal, bank draft, debit card, credit card or Etsy giftcards. My shop coupons are limited to one coupon per order, your choice of which coupon code you use if more than one coupon is available. There is no limit to the number of times you can use each coupon code -- as long as it hasn't expired! I usually ship via USPS with a tracking number, although I sometimes use priority mail, UPS or Fed Ex depending on the weight of the package. If your order includes anything framed with glass, it will absolutely be shipped insured. - Damaged items will be remade and reshipped (with new insurance!) after you send me a digital photo so I can file an insurance claim on it. There will be no additional charges to you for remaking and reshipping, I will get it back with the claim. International Customers from the UK -- please be aware that you may be required to pay additional delivery or tariffs when you receive your order. I am told this is a VAT (Value Added Tax). To my knowledge this is only happening to customers in the UK. The international shipping that I am paying is inclusive of all shipping and handling, but apparently that does NOT include the VAT and they will not permit me to prepay it for you. So just please be aware and know that this is 100% out of my control. Need it tomorrow? Rush shipping is available for an additional charge (at cost), contact me for details! I can also ship it Priority or Priority Express for an additional charge (at lesser additional cost), contact me! Custom orders are welcome! In fact, they're pretty much the norm here! Please let me know what you're after and we'll get you squared away. Because I'm trying to keep things consistent and affordable, I try to keep my prices pretty standard. 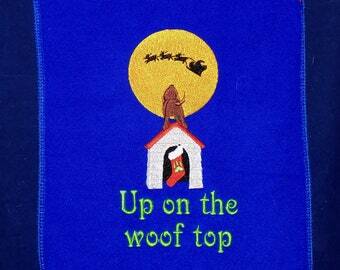 Generally I set prices based on the size of the embroidery, including the stitchcount, fabric used and etc. All items are made by me (other than apparel, towels, etc. 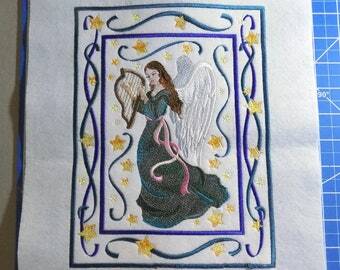 that you send to me to embroider!). 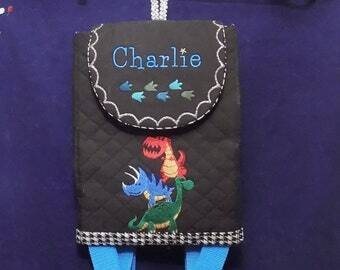 I do not buy blanks and embroider on them, I construct your items to order at the time you order them. 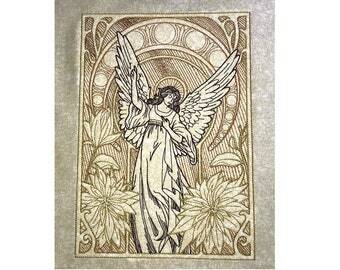 Smaller unframed wall art with unfinished edges usually runs $10-30, while larger is generally $25-50. Hooped art starts at $27.50 for 5" designs. Larger rectangular designs with constructed framework are $45-60 based on size and number of layers. Bags, Pouches, Cases, Totes & Purses range in price based on size, fabric, features, etc. They range from a low of $5 to a high of $75. Most are in the $20-$50 range. As previously mentioned I construct all of these items to order, I do not purchase blank totes and embroider on them. Two bags of identical size may be priced differently based on stitchcounts! 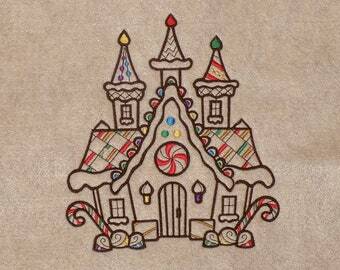 If bag A has a 12,000 stitch design and bag B has a 56,000 stitch design, bag B IS going to be more expensive! Likewise, a bag made of cotton fabric is going to be cheaper than a similarly sized bag made of linen or microfiber, etc. Please contact me if you have ANY questions on pricing.